In 1907 Daniel Garber purchased a farm along Cuttalossa Creek, near Lumberville, Pennsylvania, and moved his family to Bucks County. After he began teaching in Philadelphia at the Pennsylvania Academy of the Fine Arts in 1909, he divided his time between the city and the country. Although best known as a landscape painter, Garber made an early reputation for idyllic figure subjects based on his domestic life. 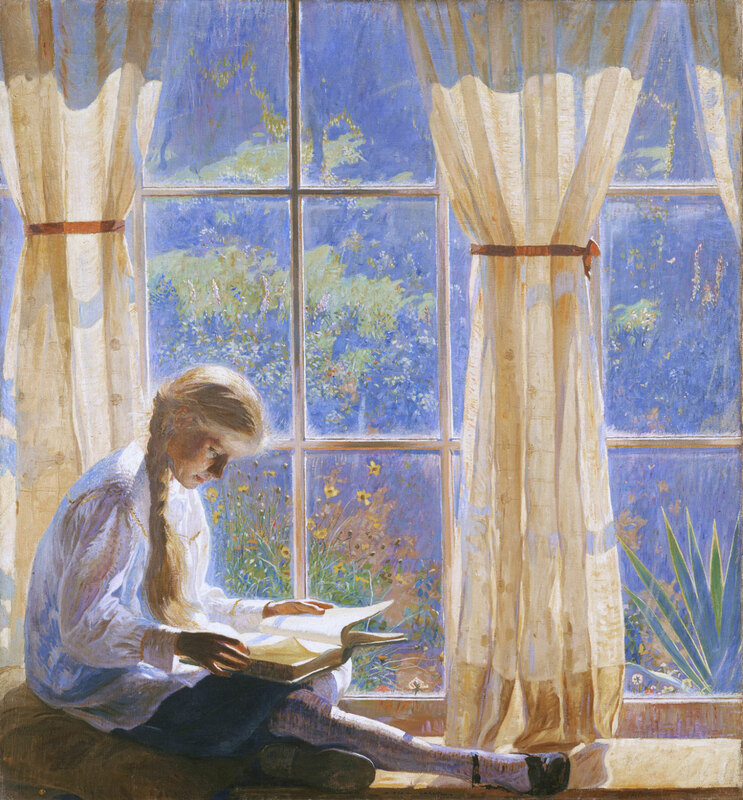 Here, the artist’s daughter Tanis reads in front of the studio window that looked out on his country garden. The serene geometry of the window panes frames the shimmering light from the outdoors to give an image of sunny peace and contentment.